Network TV is having its own Black Thursday today, with Fox getting in on the cancellation fun being had at CBS and ABC. The network has just announced that it’s ending freshman series The Grinder and Grandfathered, as well as two less critically well-regarded shows that most people had already written off, the animated Bordertown, and Cooper Barrett’s Guide To Surviving Life. 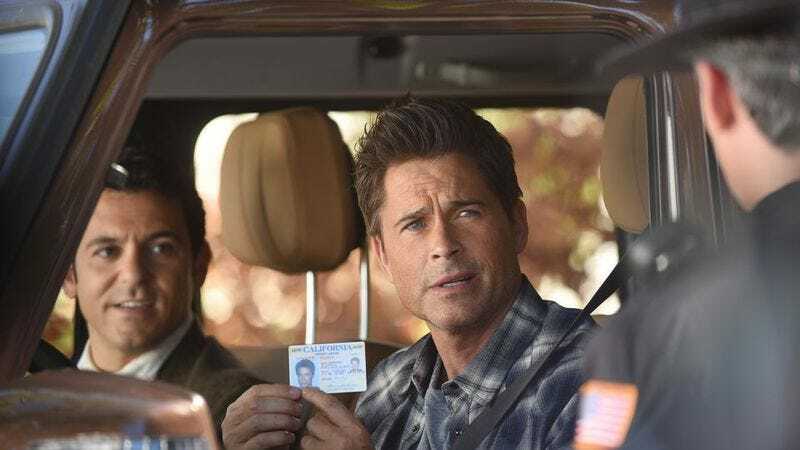 The Grinder is joined on the chopping block by Grandfathered, which starred John Stamos as a lifelong bachelor who suddenly connects with a family he never knew anything about. Although less of a critical darling than Grinder, it was still well-regarded as a more traditional family comedy. (If nothing else, it probably helped keep Stamos away from a second season of Fuller House for at least a little longer.) It was also the better rated of the two shows, suggesting that Fox—who’d been going back on forth on which, if either, of the two series would survive—was aiming pretty high this year, when it went looking for stuff to toss onto the TV bonfire apparently burning in Hollywood right now.